Full HD High Resolution 1920×1080 system. 3 pcs super Array IR LEDs can see up to about 60 feet away. Setup system easy.Free App for Live View & Motion Alerts & playback on Smart Devices. You can setup camera wifi signaling cascade. More Setup Demo Video visit our web OOSSXX. Our shop Provide a variety of extension accessories(extend antenna,extend power cord,extend camera,power supply, etc). 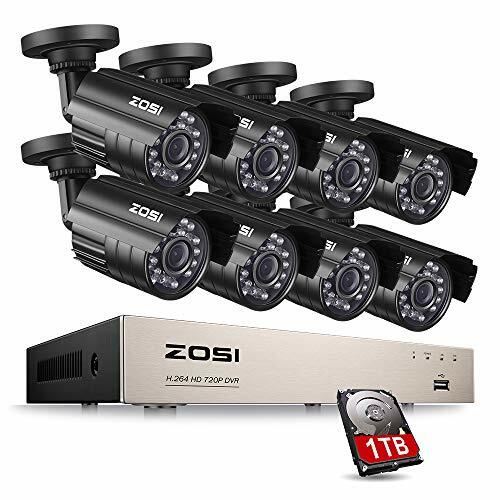 Enjoy design your CCTV system. 1. 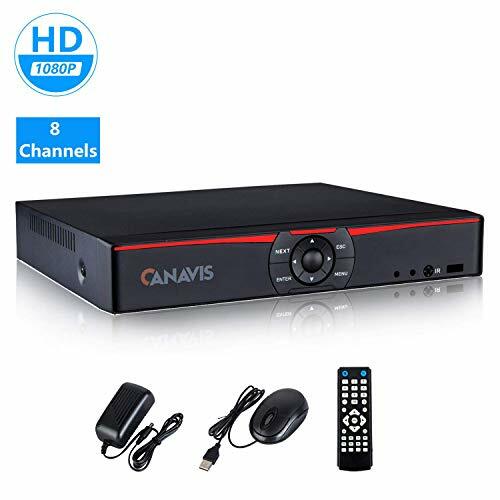 8CH 1080P Wireless NVR Recorder with 1TB Hard Drive. 2. Hisilicon 3520DV200 High Speed Processor and Embedded Linux Operating System. 3. Support Video Preview/Recording/Playback/USB Backup. 4. Support Android/IOS/PC Remote View . 5. Networking Protocol: UPNP, SMTP, PPPOE, DHCP , P2P, ICLOUD etc. 6. 1 SATA Port, Up to 6TB, 1 USB2.0,1 HDMI,1 VGA. You just Need a HD TV&Monitor, the system can working. Attention: system is full HD, TV & Monitor must support full HD(1920×1080). 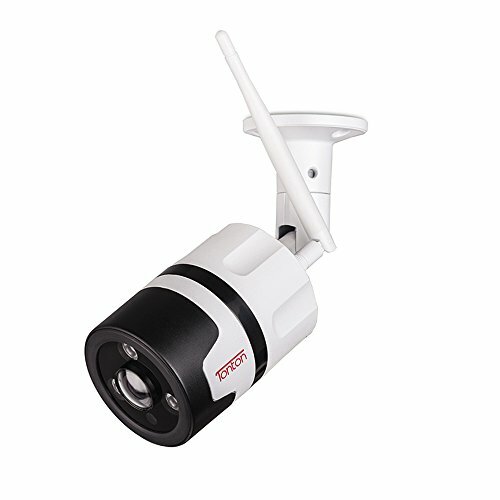 【Expandable】This system includes 1x 8-channel 1080P (1920×1080) NVR and 4 x 720P (1280 X 720) wireless IP66 waterproof Cameras. 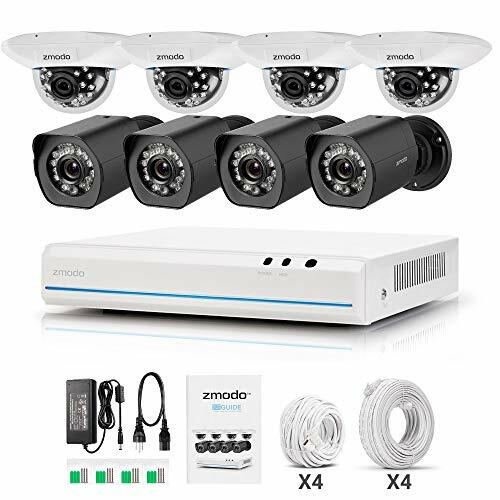 It is ideal for both indoor and outdoor uses, perfect for villas, homes, offices, workshops, warehouses, restaurants and etc. This expandable system can support up to 8 cameras. 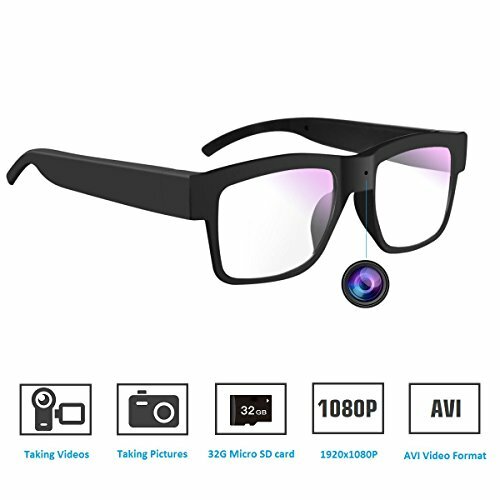 Additional cameras may be purchased on Amazon (ASIN:B01M7ZBJKB). OOSSXX is NOT responsible for installation. 【Wireless】 Please note the system is NOT battery operated. Both NVR and cameras need to be plugged into nearby power outlets. 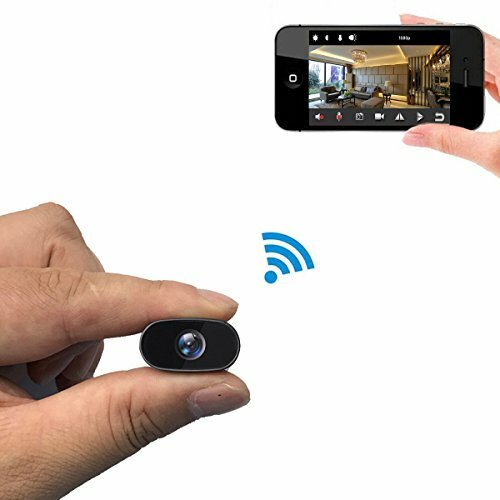 Within the system, NVR and cameras communicate automatically and wirelessly. This is a robust wireless system, however, under certain circumstances, due to factors such as distance and obstacles etc, the system wireless signals may not be strong enough to support live monitoring, then a special Wi-Fi extender (ASIN:B079CGXCR2) is recommended to extend greater wireless. 【Snapshot Email Alert】 The system supports motion detection records and e-mail snapshot alerts etc. Detailed schedules for each camera can be selected to customize your own detection plan. For example, when a motion is detected, a picture will be taken and sent to e-mail automatically or an alert will be sent to your phone. Hard drive MAX 6TB support. 【Easy setup】 The system is simple to install and set up. For online monitoring and remote access, please download free app “IP Pro” or “eseecloud” from Android Google Play or Apple App store. Please also refer to the manual and check our demo videos on OOSSXX website for futher instructions. This system supports both wireless/wired connection. When wireless signals cannot be covered, video can be transmitted by setting up wired network. System support AC110-240V input. 【Service】We provide 1-year warranty which includes free parts replacement and lifetime techinial support: email reply within 12 hours, telephone support at : +1 (352) 396-4031, +1 (352) 702-5883 (Eastern time Monday Friday – 9:00am – 5:00pm). Provide Free 10FT Antenna and Power Extension Cable. 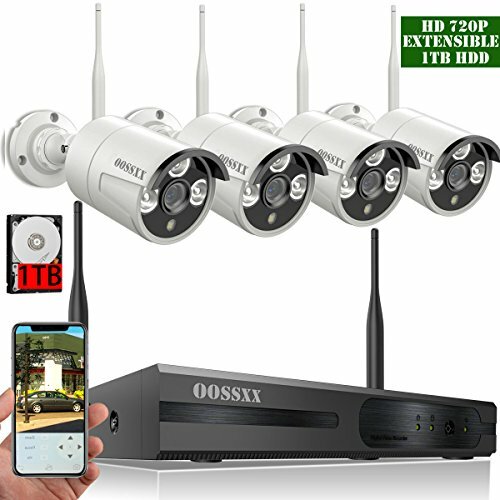 Customers may request 15% discount code toward Wi-Fi extender purchase by sending a request to info OOSSXX Mailbox before purchase.